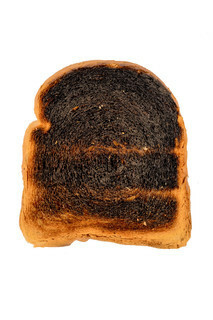 This is a story of burnt toast. I was having breakfast the other day at one of my favourite cafes and I asked for another slice of toast with my scrambled eggs. The friendly staff brought out the toast but it was burnt. Now I should have sent it back or said something. But like most other consumers or customers I did not make a fuss at the time but rather have decided to write a blog about my experience. You see, a slice of toast is a small thing. The cafe is convenient to me, the staff are great, menu expansive and the prices are reasonable. But why bring out a burnt slice of toast? It’s small but perhaps it says so much about their product quality and attitude to their food. Most brands and business leaders are quite rightly focusing on the customer experience or journey. They are trying to get the big things right. But I say to them — don’t forget the small stuff. These are the small controllable aspects of the customer experience that people notice. Because if you ignore them then you risk a small loss. It represents a loss to your sales and a loss to the customer.